IS YOUR TEAM LOOKING TO GET TEAM LEOTARDS FAST?! CHOOSE FROM OUR QUICK SHIP SECTION FOR SPEEDY DELIVERY! 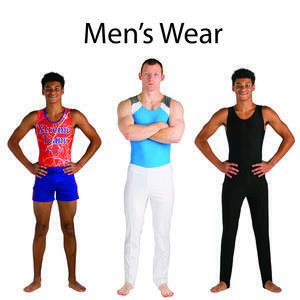 Gym Digs has a large selection of leotards and biketards for gymnastics, dance and tumbling. We specialize in providing you or your team with their dream competition leotard. Choose your fabrics, design and accessories for the perfect leotard. Check out our new gymnastic warm-ups. Have them made to match your gymnastic leotard. 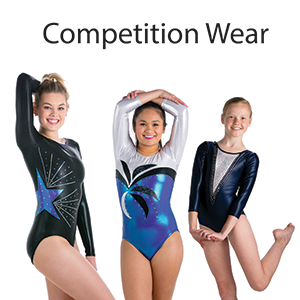 Check our website often for new deals and specials on gymnastics wear. Find us on Facebook and follow us on Twitter for contests, prizes and special coupons. Take a look at our huge selection of fabrics that you can choose from to design your own perfect leotard. Don't miss our special offers on team discounts and consignment programs for your gym! Ask about our fundraising program. 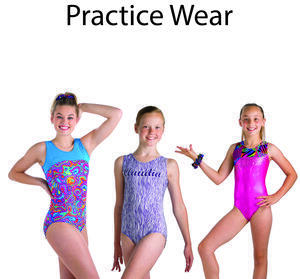 It's a great way to sell gymnastic leotards and make money for your team!